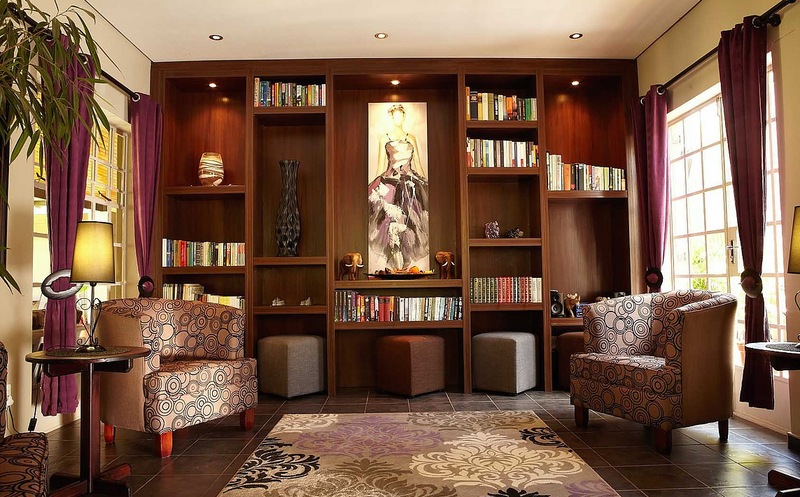 Met at airport and transferred in air-conditioned car to Villa Violet in the capital city of Windhoek for one night on bed and breakfast basis. Your guide will go through your self-drive itinerary and answer any questions you may have.Remainder of day free to explore this interesting city, characterised by its German colonial architecture. Some excellent options for eating out this evening. Your car will be delivered to the Villa Violet and refundable fuel and damage deposits taken. 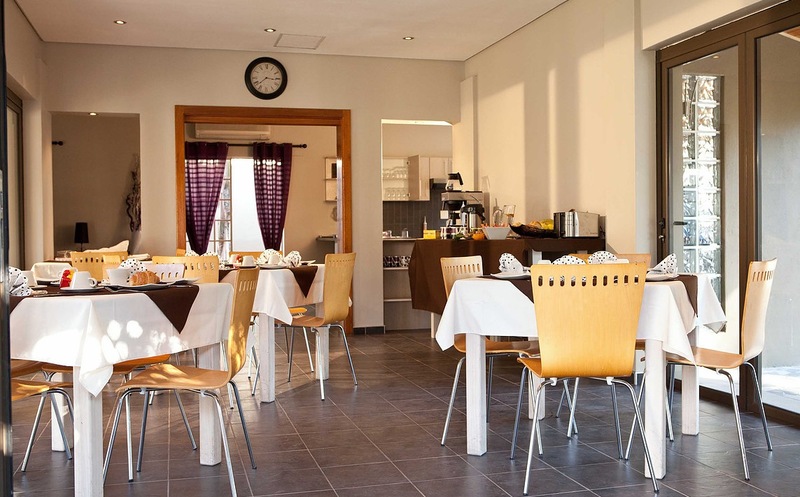 After breakfast this morning, you will commence your adventure with a drive of about 318km to Sesriem and to the Desert Homestead Lodge for two nights with dinner and breakfast. 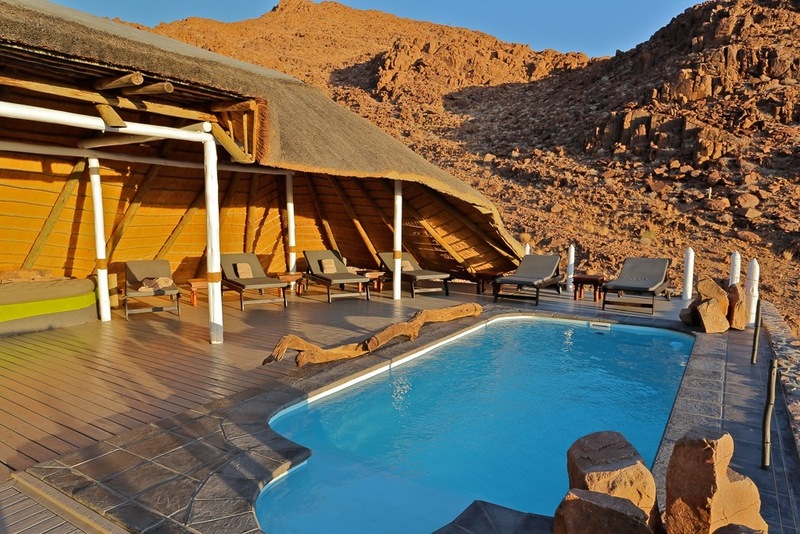 The lodge is ideally located for exploring the ancient dunes or walking in the Namib Naukluft Mountains. Optional horseriding or guided nature drives can be arranged. The night skies in this area are spectacular. Depart early on the morning of day 3 and drive int the Namib-Naukluft National Park and onwards for 70km to Sossusvlei, with its monumental star-shaped dunes, a mecca for photographers and artists. If there has been recent rain adding water to the pan her, there are flamingoes and other acquatic birds to be seen. Return later in the day to Sesriem and, time permitting, visit the Sesriem Canyon. After breakfast this morning, set off on the 344km drive to Swakopmund, through mountain passes via Solitaire and on to Walvis bay where a stop is recommended at the lagoon, home to many birds, especially the grater flamingo. 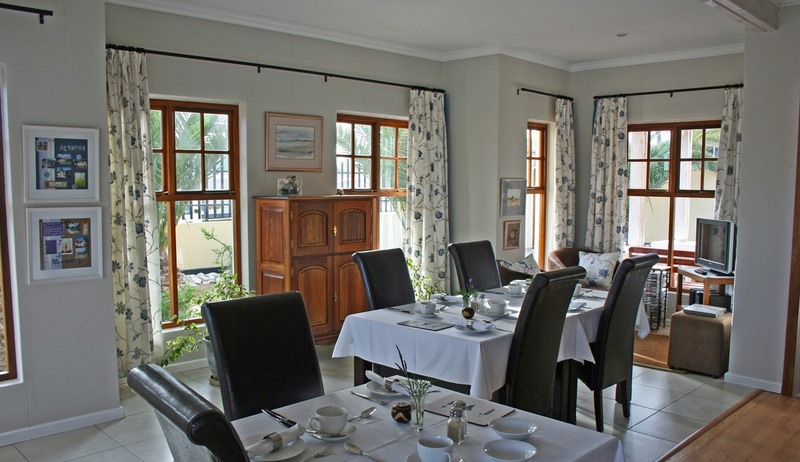 Continue to the charming Cornerstone Guesthouse for two nights on bed and breakfast basis. On day 5 you will go to the waterfront at Walvis Bay to board a luxury catamaran for a half day guided cruise towards the Pelican Point Lighthouse. 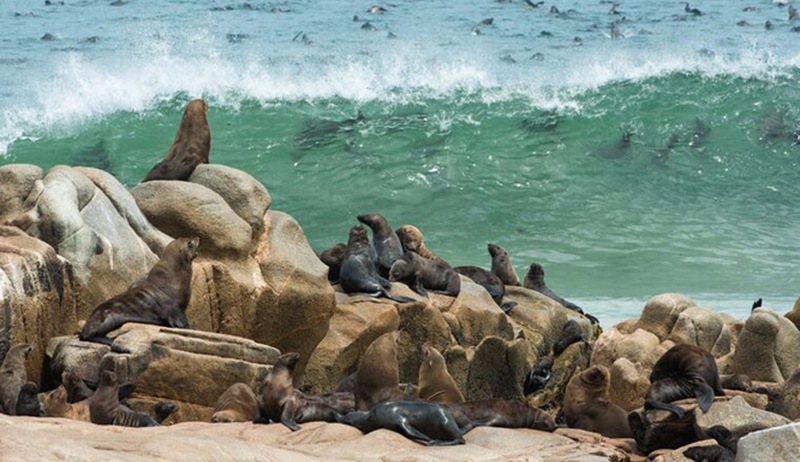 Depending on the time of year and conditions, you may see seals, dolphins, whales, orca, leatherback turtles and, of course, lots of birds. Remainder of the day free to explore this picturesque town and its surroundings. 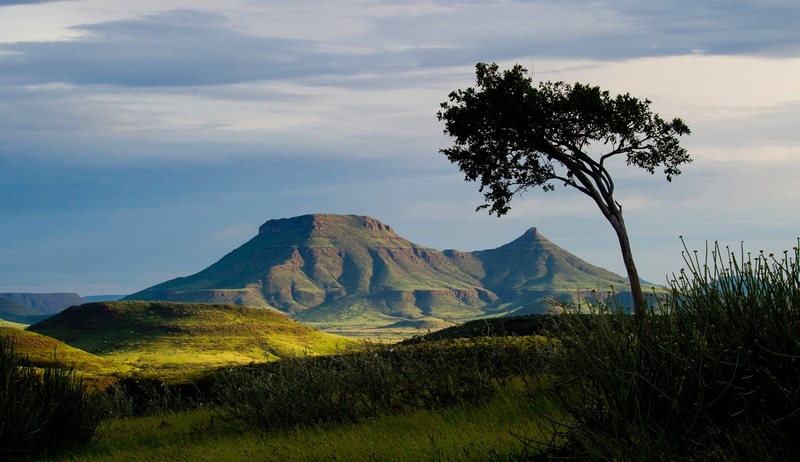 This morning, drive through changing scenery towards the mountainous scenery of Damaraland, looking out for wildlife, especially the rare desert elephant which is sometimes spotted in this area. High up the Grootberg Pass is your overnight accommodation, the Grootberg Lodge where you will stay with dinner and breakfast included. 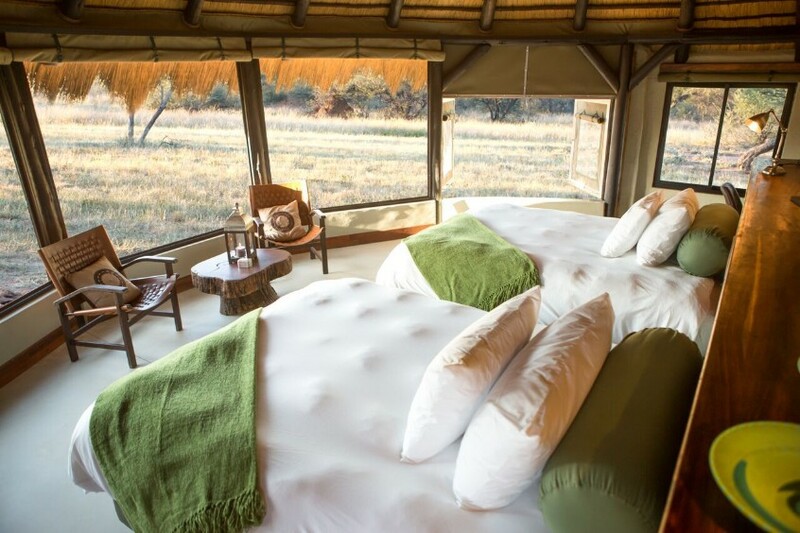 This true wilderness lodge offers spectacular views and sits in an area rich in flora and fauna, including black eagles, desert elephant, black rhino and even lions. 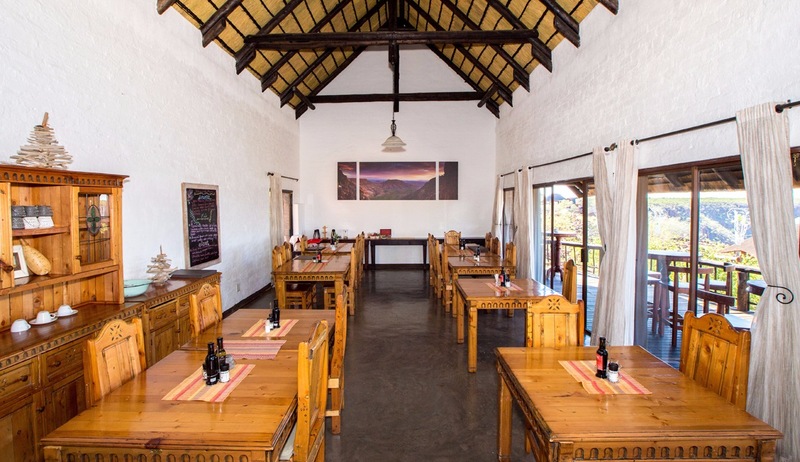 Leave early this morning for a scenic drive of some 343 km to Etosha to stay for two nights on a dinner and breakfast basis at Etosha Village, right next to the entrance to the National Park. This is a beautiful and wild area for driving, making sure you allow enough time to be out of the park by closing time at sunset. Stop by one of the many waterholes and just watch the animals come to you. There are rest camps within the park for lunch, swimming or just relaxing in the shade. 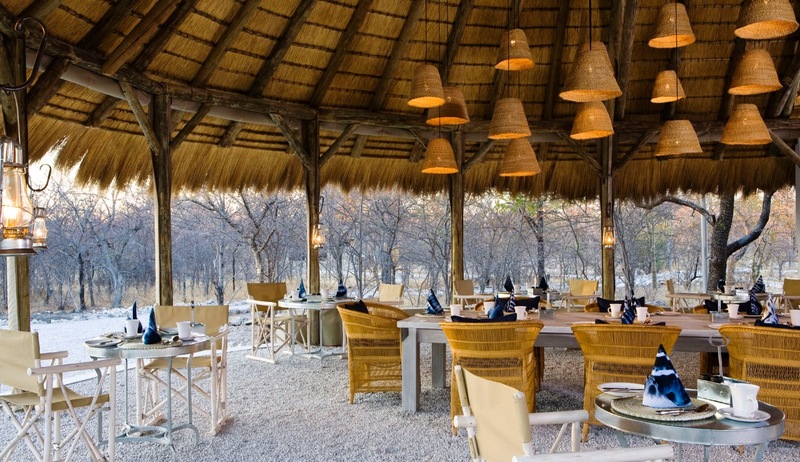 Still within the Etosha Park, you drive today 132km to Namutoni and the Mushara Bush Camp for overnight stay with dinner and breakfast. There are lots of game and birds to be seen on the drive through the Park and the Mushara Camp is an ideal spot to stay, with a delightful night time campfire. 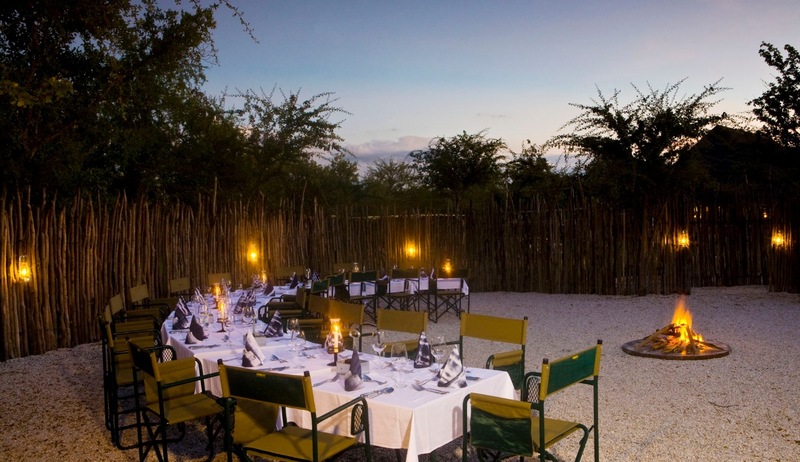 On day 10, drive 365 km to Otjiwarongo and to the Okonjima Plains Camp for your last two nights on dinner and breakfast basis. The Okonjima Game Reserve is famous for its cheetah and leopard safaris and here you will be able to track cheetah on foot as well as going leopard spotting. The AfriCat Foundation here is world famous as a reserve which rehabilitates cheetah, wild dogs, leopards and hyenas and seeing these amazing animals in the wild here is a highlight of the trip. This morning, you will drive the 265km back to Windhoek, where you can check in your vehicle at the airport, before your onward or return flight. 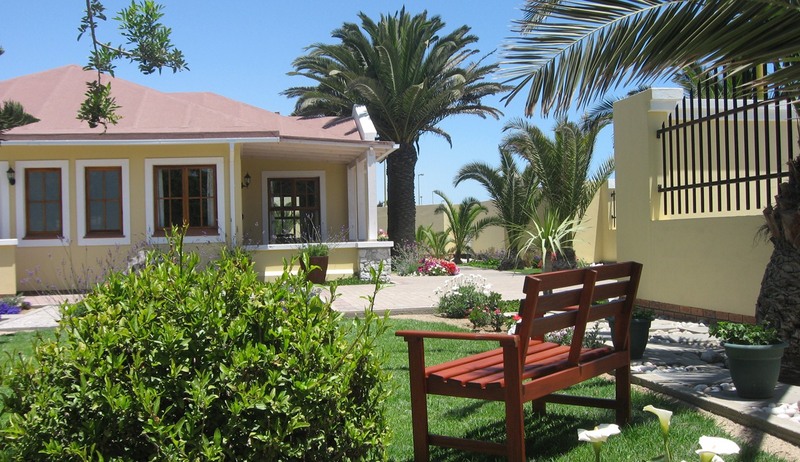 Located within a short walk to the seafront and town centre of Swakopmund, Cornerstone Guesthouse provides charming accommodation on either a bed & breakfast basis or self catering basis. 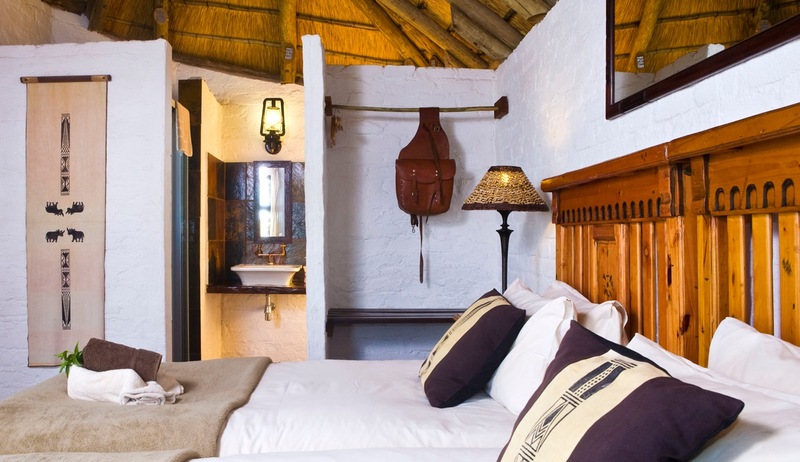 Situated in a quiet corner of Swakopmund's old town, along Namibia's fascinating Skeleton Coast, this beautiful family-run guesthouse combines the charm and intimacy of a B&B with the modern amenities and luxuries of a hotel. 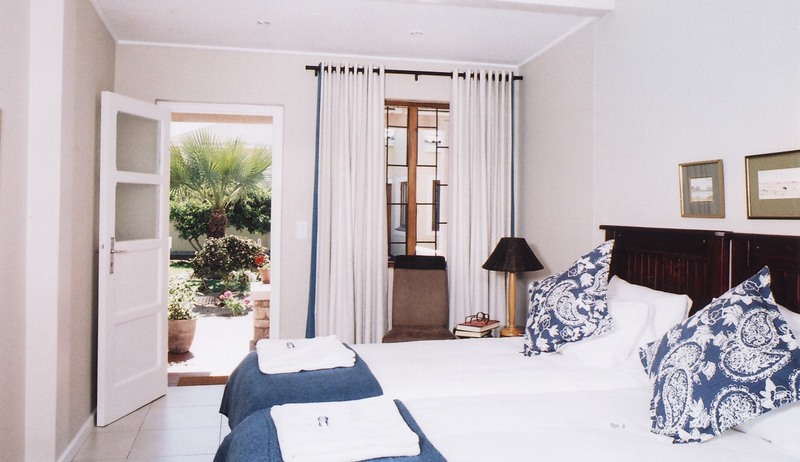 At Cornerstone Guesthouse you can choose between the comfort and convenience of a luxury bed and breakfast or the privacy and freedom of a luxury self-catering apartment. The guesthouse has 7 en-suite bedrooms, 5 of which are double/twin rooms and 2 of which are family rooms which can sleep up to 4 people. Every room has been beautifully decorated to provide a relaxing setting and each room has its own private entrance and patio with outdoor seating area. 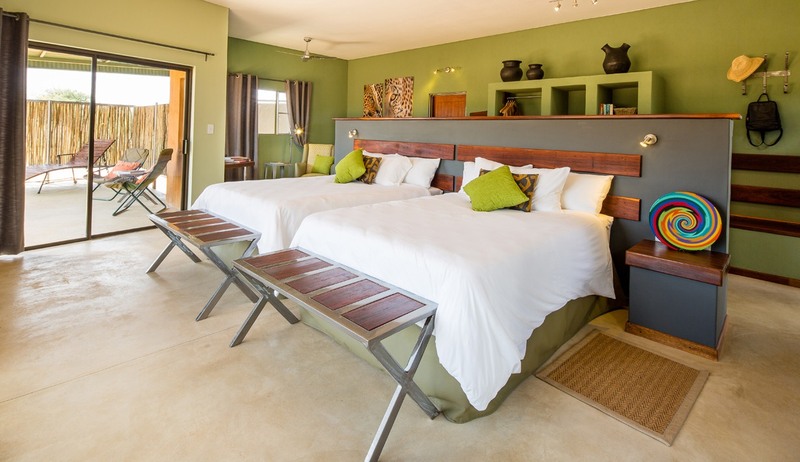 The 3 fantastic self catering villas all sleep up to 6 people with 3 luxurious bedrooms and 2 bathrooms. These luxury apartments have large balconies with barbecues and fabulous sea views along with sun-loungers, fully equipped kitchens and even a double garage. 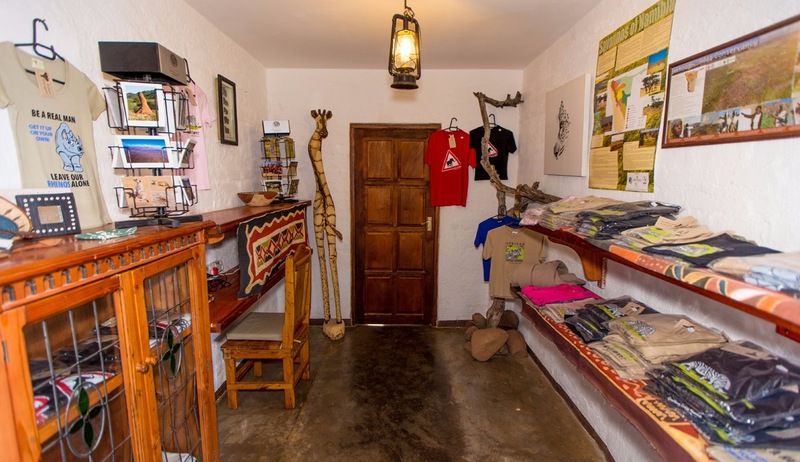 The guesthouse itself features a beautiful private garden, dining area, relaxing lounge with satellite TV and is located within a 2 minute walk to the bars, restaurants, shops and tourist attractions of Swakopmund. 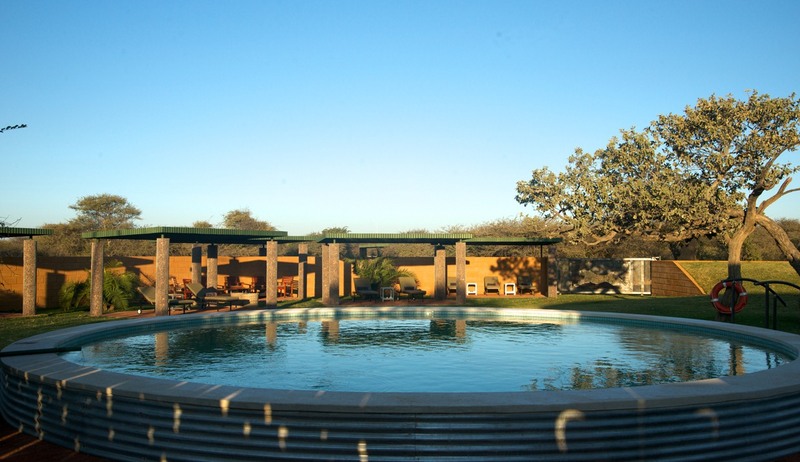 Located on a large private concession in the remote northwest of Namibia between Damaraland and Etosha National Park, Grootberg Lodge offers fantastic accommodation with some of the most incredible views in the whole of Namibia. 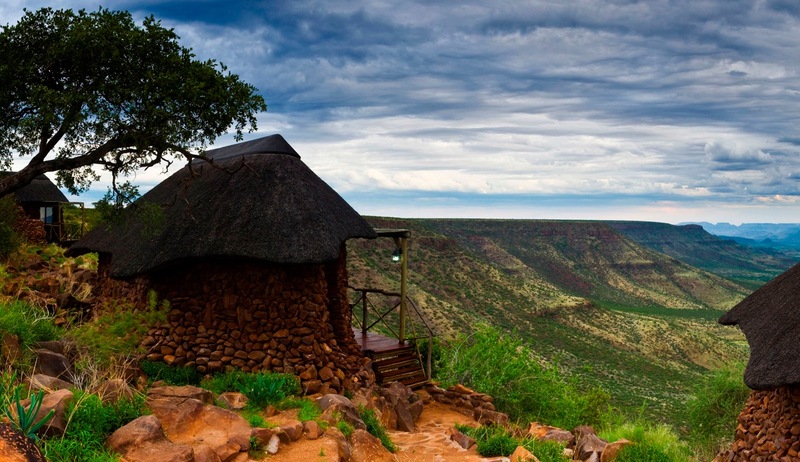 Grootberg Lodge is perched right on the edge of the stunning Etendeka Plateau and although one could spend days just taking in the view, there are also numerous activities available here to make your experience a truly enjoyable one. 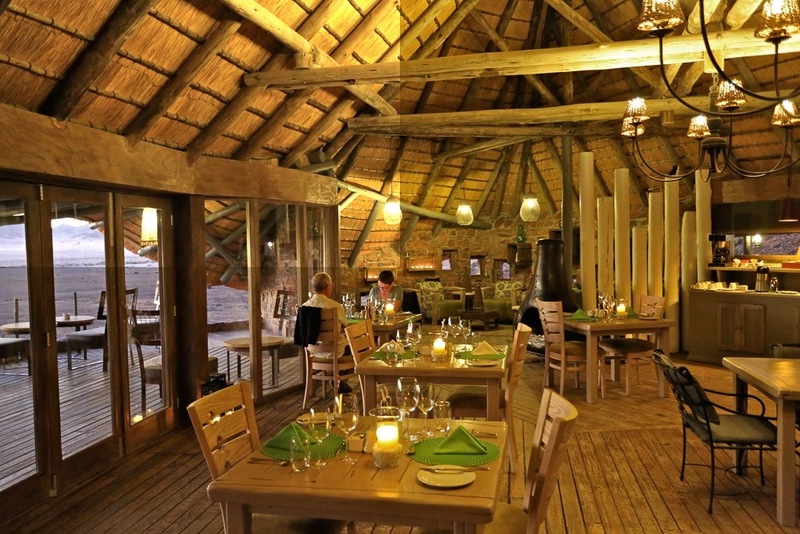 Grootberg Lodge is one of the only lodges in Namibia that is completely owned by the community and a great deal of emphasis here is placed on conservation and minimising the impact on this remarkable area. 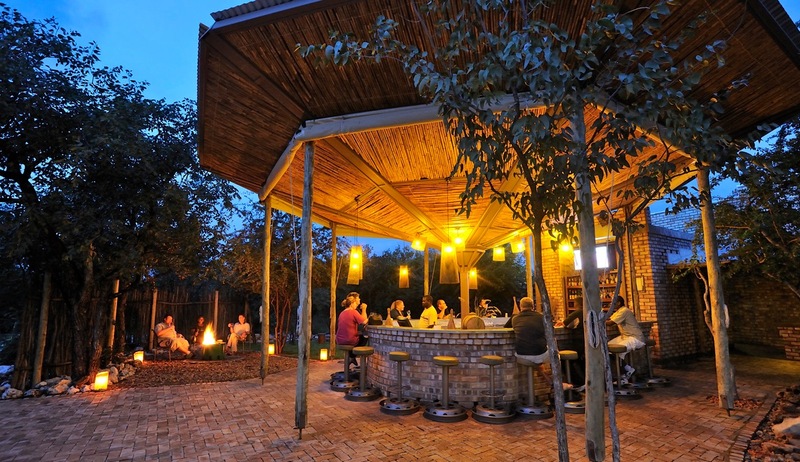 All staff at Grootberg Lodge come from the local community making this a warm, welcoming and authentic lodge. 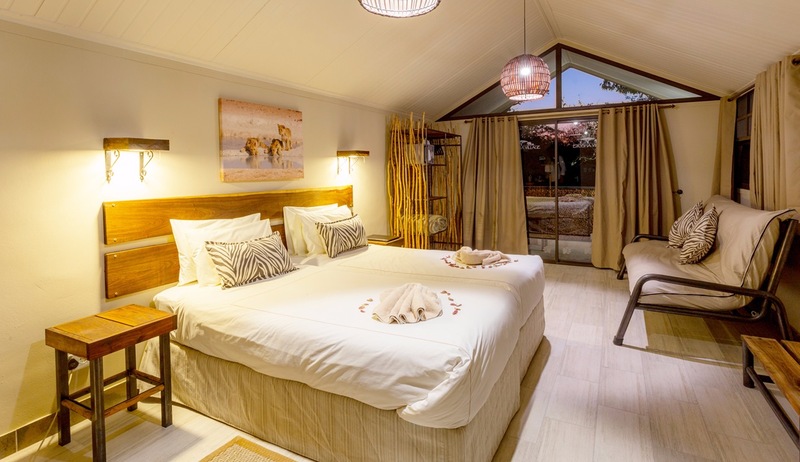 Accommodation is provided in rock chalets which all have en-suite bathrooms, beautiful furnishings and a private deck on which to relax and enjoy spectacular views of the Klip River Valley. 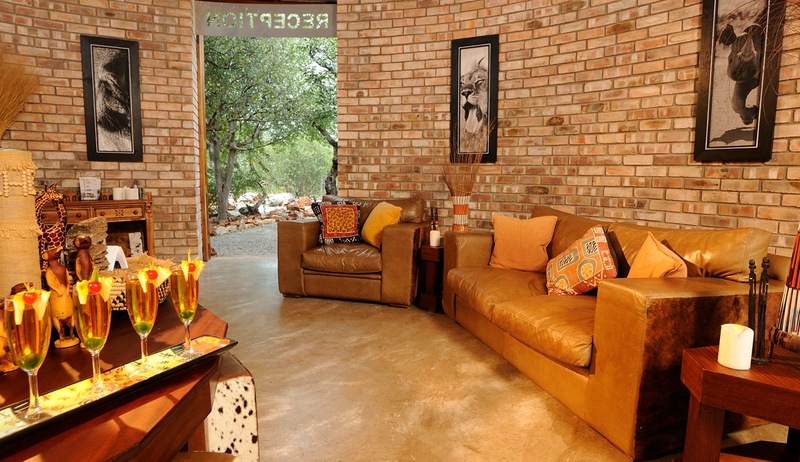 The main lodge area has a lovely reception area, bar, dining room, massage room and welcoming lounge with a large central fire and comfortable sofas. The highlight, however, is outside where you will find a stunning infinity pool with incredible views of Klip Valley. 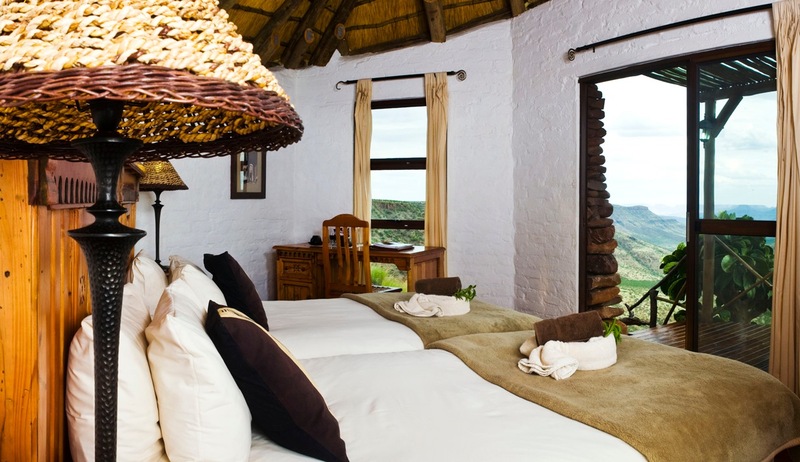 If you can pull yourself away from the beautiful views there are many activities on offer to guests at Grootberg Lodge. 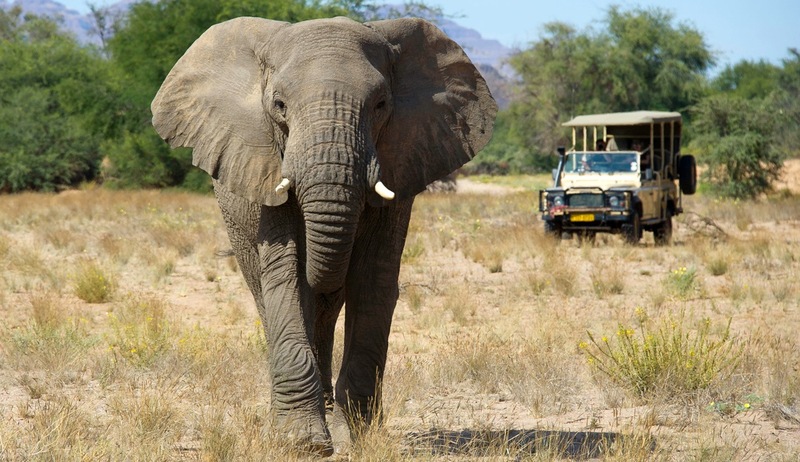 Some of the most popular activities are elephant and rhino tracking where, led by knowledgeable expert guides, you can search for the elusive black rhino and the beautiful desert elephant. Guided walks and scenic drives across the top of the plateau are an excellent way to not only witness the remarkable surroundings but also spot the abundance of wildlife in the area. You can also partake in a Himba village excursion where you are invited to visit and to learn more about the proud and ancient lifestyle and traditions of the Himba, one of the last truly traditional tribes on the planet. 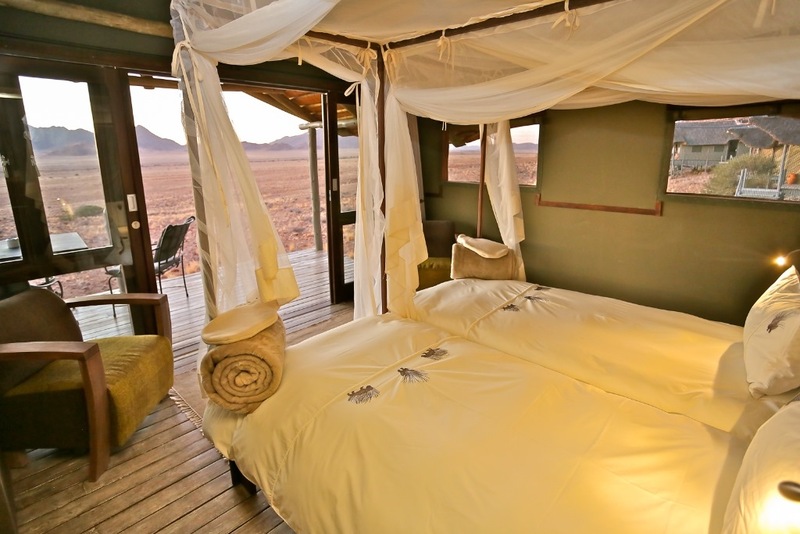 Situated in the beautiful Okonjima Nature Reserve this fabulous camp is home to the AfriCat Foundation and offers an authentic safari experience where you will have the chance to see Namibia's big cats and other carnivores as well as learn about their conservation. The AfriCat Foundation rehabilitates cheetahs, wild dogs, hyaenas and leopards, and there are fantastic opportunities to see these beautiful carnivores in their natural environment. 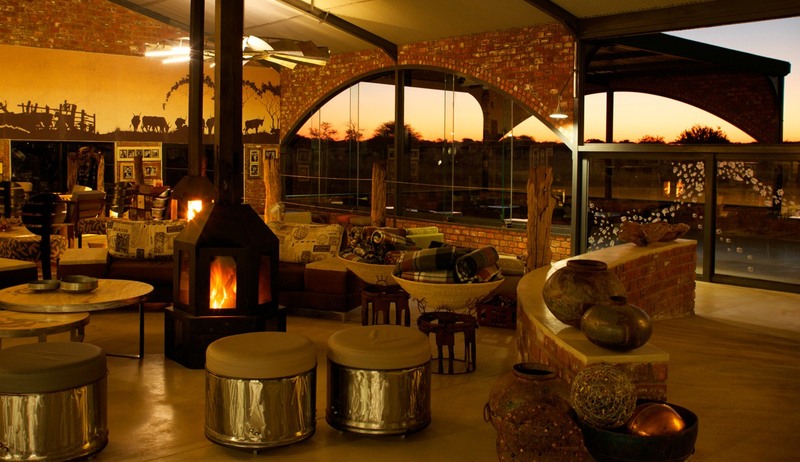 The Okonjima Plains Camp has been recently redesigned to honour the Okonjima cattle-farming history and "The Barn", otherwise known as the main camp area, includes a beautiful dining and lounge area and a well-stocked curio shop. There is also a swimming pool and a plethora of outdoor seating space in which guests can soak up the views and the tranquil atmosphere. Fantastic accommodation is provided in 14 'standard rooms' and 10 'view rooms' each of which have en-suite facilities, beautiful furnishings, large, comfortable beds and ceiling fans. 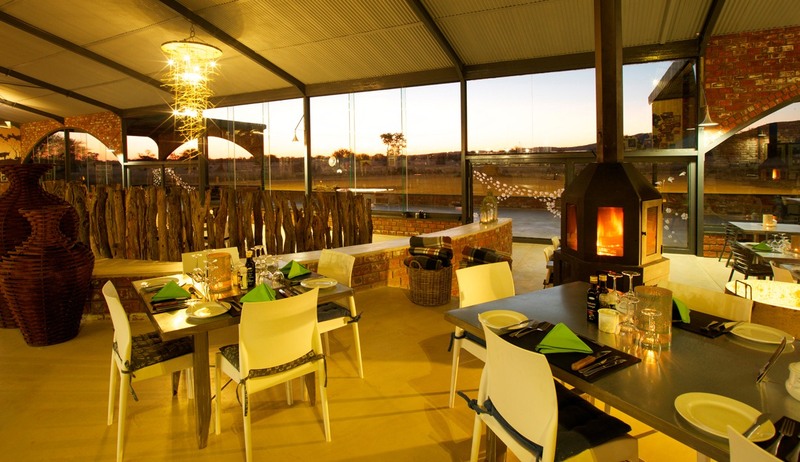 Standard Rooms have a small verandah whilst the View Rooms have a larger verandah and benefit from fantastic views across the Okonjima grass plains. Activities at Okonjima Plains Camp are varied and as expected they are mostly centred around the big cats. AfriCat is a non-profit organisation set up to conserve and protect threatened cheetah, leopard, and other wild carnivores of Namibia. Visitors will be able to observe some of this programme at work and learn more about these amazing and beautiful animals. Activities available include leopard viewing, visits to the "cheetah project", large carnivore tracking on foot, game drives and bird watching. 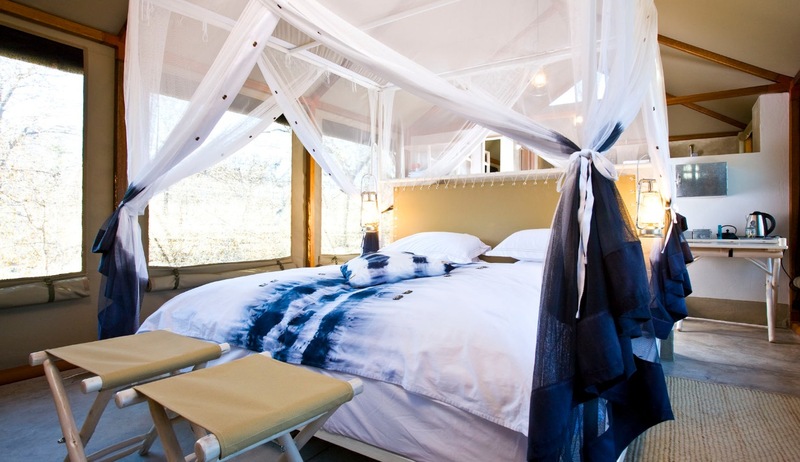 Located just 10km from the Von Lindequist gate of the world famous Etosha National Park, Mushara Bush Camp is a stylish and down-to-earth camp which is perfect for families and independent travellers looking for comfortable accommodation while they explore this unique area. Accommodation is provided in 16 large, comfortable tents built from wood, canvas and local limestone. The tents are spacious and airy and have en-suite bathrooms, small lounge areas, mosquito nets, comfortable beds and small private verandas with views out in to the bush. Each tent has been decorated and furnished in a simple yet beautiful manner and offers a high level of comfort, privacy and tranquillity. 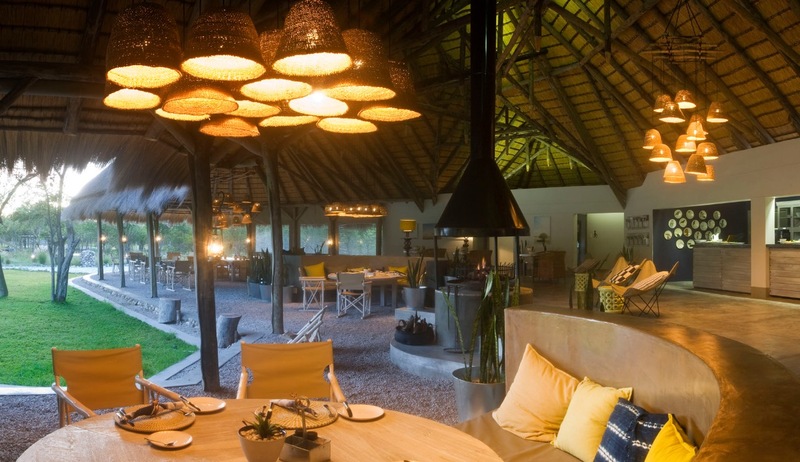 Mushara Bush Camp provides exceptional facilities and experiences for guests of all ages and the main Bush Camp House is thatched and has a true bush camp feel to it. For younger guests there is a specially designed play area with books, toys and games, and a jungle gym and children's swimming pool. 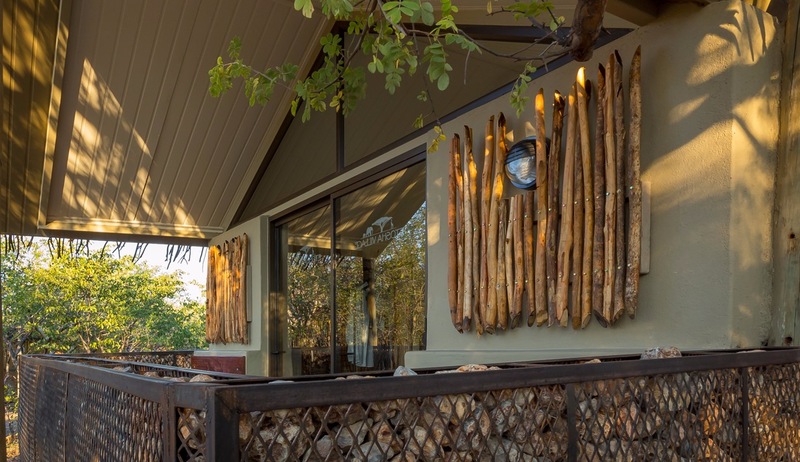 There is also a full size swimming pool, a bar, a curio shop, welcoming lounge area and a dining room - although many guests choose to enjoy their meals on the beautiful veranda where they can watch the resident warthogs grazing and soak up the wonderful surroundings. There is also a campfire around which guests congregate in the evening and regale stories of the adventures they have had that day. 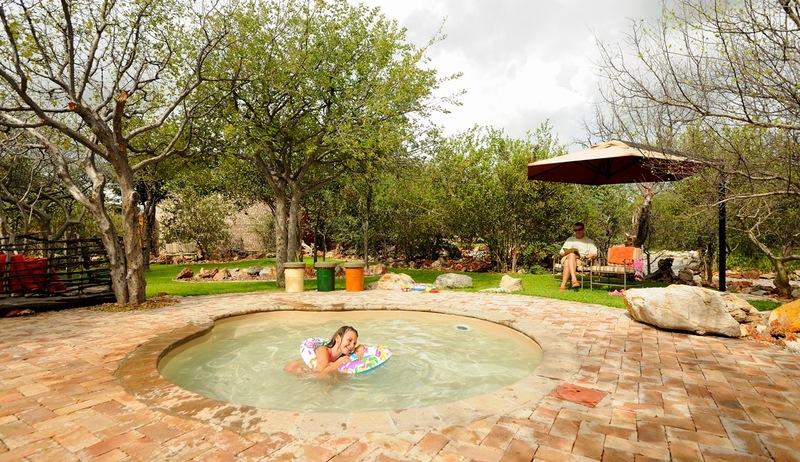 This very family-friendly camp offers a wide range of activities including morning and afternoon game drives into Etosha National Park where the wildlife is exceptional and you can expect to witness most of Africa's big game. Guided bushwalks and day tours are also available. 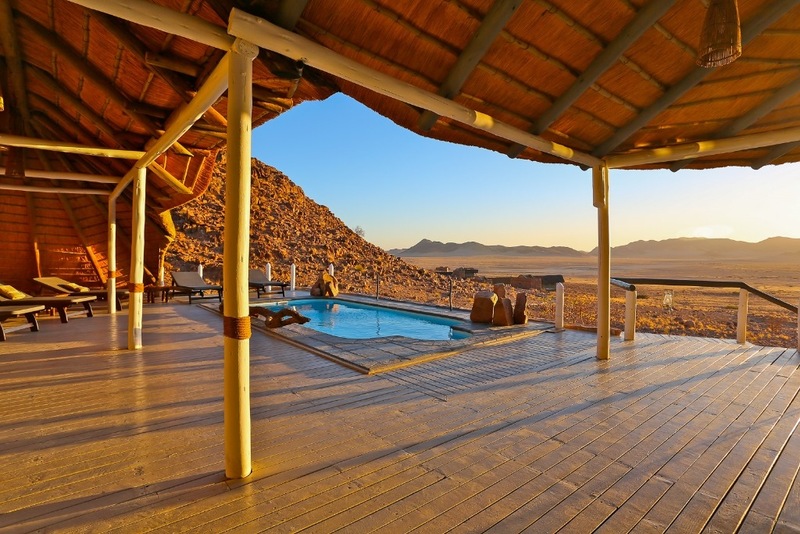 With panoramic views over vast gravel plains and mountains in the distance, Desert Homestead Outpost is a lovely base for exploring the Sossusvlei area. It's a 30km drive from camp to the Sesriem gate, the entrance to the magnificent Namib-Naukluft Park. 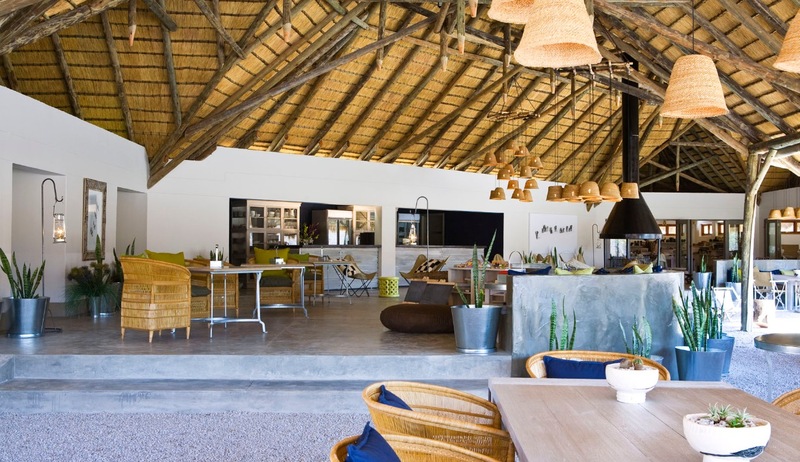 The main house at Outpost is a large brick structure, with a thatched roof; encompassing a bar, restaurant and a lounge area. There’s also a swimming pool, which offers welcome respite from the heat in the hot summer months, with some shaded areas to relax on the terrace. Accommodation comprises of 12 houses, one of which is a family unit. All rooms offer private shaded sun decks, mosquito nets, air-conditioning, a refrigerator, a tea and coffee station and a mini safe. 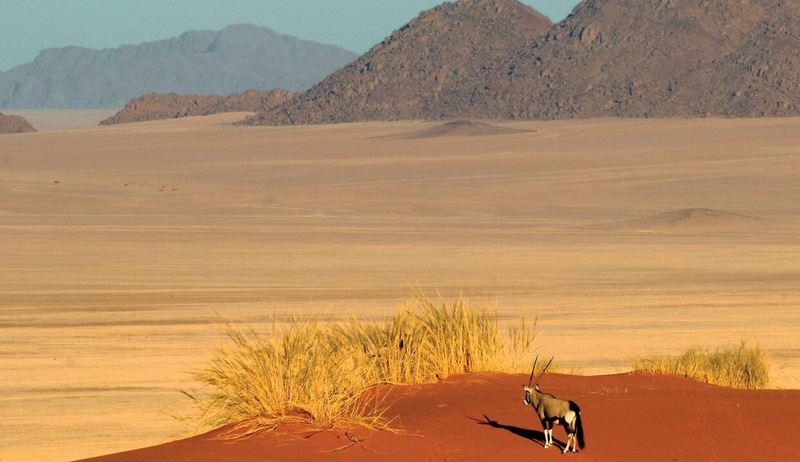 Activities that are offered include trips to Sossusvlei, trail rides in the morning or evening, nature drives in the surrounding area, guided and unguided hiking trails, and desert horse trails. 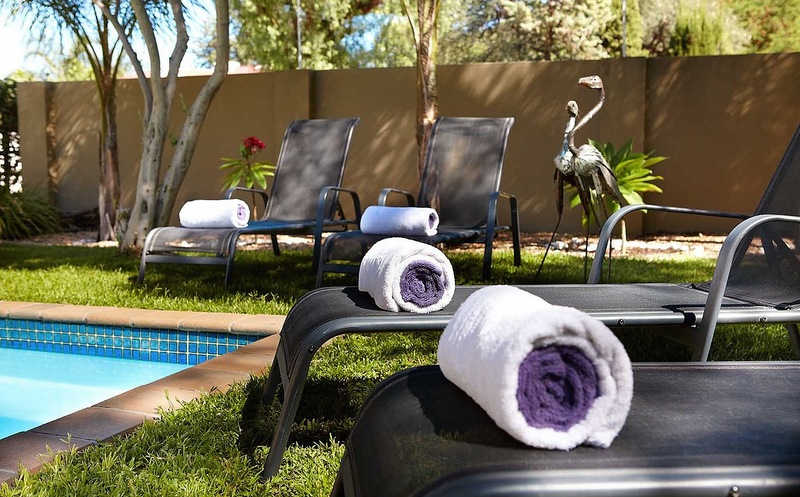 Situated in the leafy suburb of Klein Windhoek, Villa Violet Bed & Breakfast offers a new, fresh and modern accommodation option when visiting the city centre . The en-suite rooms front onto a grassy central area where there is a small pool and plenty of seating. Each room has an air-conditioner/heater, flat-screen TV an a safe, Wireless Internet, secure parking and a laundry service available to guests. The B&B is in close proximity to restaurants and shops, and a short drive away from the city centre, making is not only an appealing place stay but a convenient stop when entering or leaving the country..
Etosha Village isstyled on a traditional African village and includes 40 accommodation units plus restaurants, bar with big-screen TV, two pools and a children's pool. 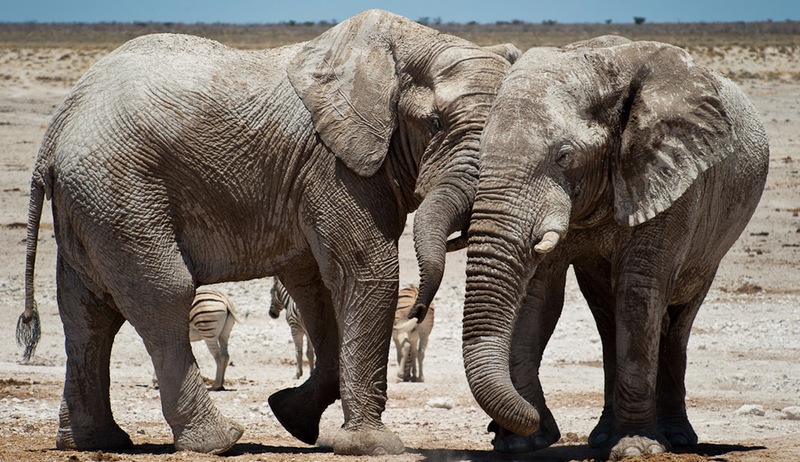 It is located close to the entrance to the Andersson Gate entrance to the Etosha Park.